I love these Emily & Fin pyjama sets. They are super soft and comfortable which for me is the main priority when at home! 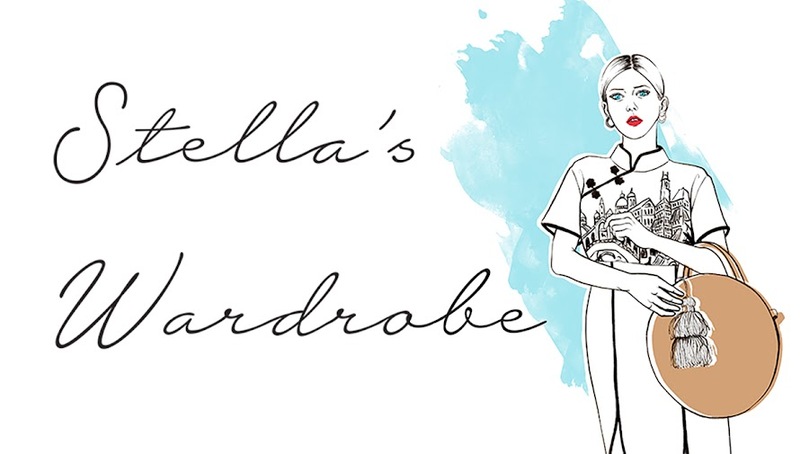 The minute I walk through the door my outside clothes go off (including bra) and these goes on, I mean they are kind of like wearing a co-ord set anyway! I’m a big Barry’s bootcamp advocate and trust me after one of their hour long intense sessions either before or after work, 6am is my favourite time to go, you are going to be feeling pretty darn tired come sleeping time! I always make sure to take my make up off using my trusted Liz Earle cleanser and a hot, wet muslin cloth (a heaven’s send for people with dry skin like me and way better for the environment than those dreadful make up wipes). I then moisturise my lips, especially now that winter has officially hit, with the rather excellent BYBI plumping lip balm. All their products are vegan and made in cruelty free way and the beautiful packaging their tubes come in are sugarcane derived, making them both recyclable and biodegradable. 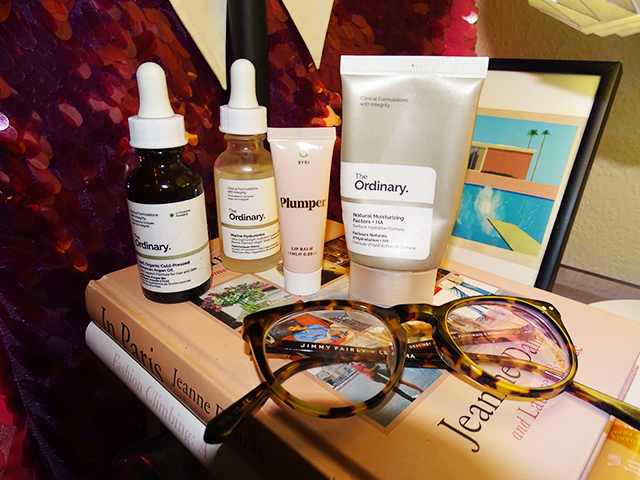 Next up face, where I have gotten into a three step routine using The Ordinary’s excellently priced range of skincare (putting their crazy former CEO to one side). I like to start with their Marine Hyaluronics to open pores, followed by a few drops of their Moroccan oil and then their more general moisturiser to finish! Sadly I don’t stick to this routine every day (hands up who also tends to “forget” to take their make up off after a boozy night) but I do try to stick to this when ever possible and my face has never looked better or has been more spot free! I love listening to podcasts in the evening as you can have them on in the backdrop as you get ready for bed and even sometimes as you fall asleep! My favourites? If you are foodie Dessert Island Dishes and Table Manners are a must, if you are after a uniquely hilarious take on true crime stories My Favourite Murder has a cult following and rightly so and for a history lesson on the golden age of Hollywood I can’t recommend You Must Remember This enough. I have to say I definitely do NOT read enough as it stands but I am trying to make en effort to put technology away more before bed time and switch off, even if I just manage a few pages before snoozing off! 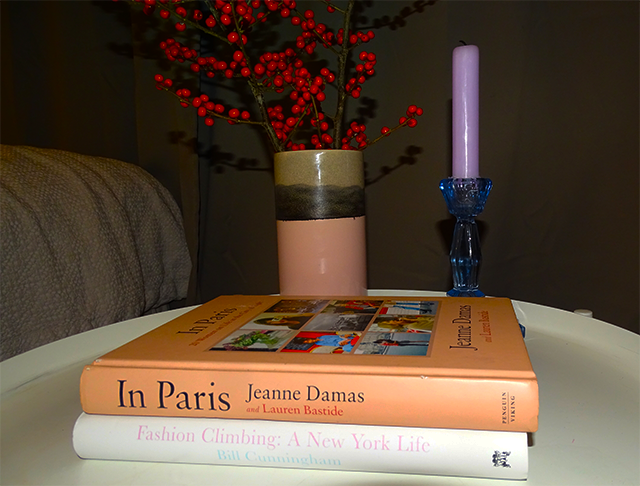 Currently on my to read list: In Paris by Jeanne Damas and Lauren Bastide & Fashion Climbing: A New York Life by Bill Cunningham.